The exit interview with a terminating employee is your opportunity to obtain information about what your organization is doing well – and, what your organization needs to do to improve. Used in concert with employee satisfaction surveys, exit interviews are a rich source of information for organization improvement. Exit interviews are key to organization improvement since rarely will you receive such frank feedback from current employees. You’ll find that some items were resolvable with earlier information but others are not, such as the desire for a large salary increase. Unfortunately, if you are learning improvement ideas or employee concerns at the exit interview, it is too late to take action to improve or help the exiting employee. The best time for an employee to discuss concerns, dissatisfaction, and suggestions with his employer is while he is a committed employee, not on his way out the door. Make sure your organization provides multiple opportunities to gather and learn from employee feedback, including surveys, department meetings, comment or suggestion forms, and more. You are interested, during the exit interview, in the feedback of employees who voluntarily terminate their employment with your organization. However, don’t miss the opportunity to ask for feedback from employees you fire for attendance or performance. You may obtain useful information during the termination meeting with employees you fire. 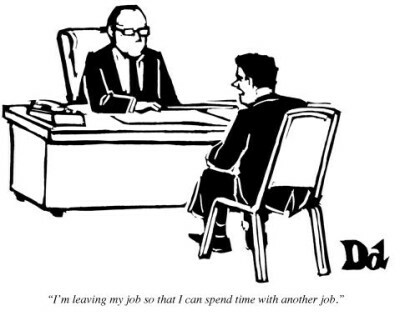 In a recent termination meeting, the fired employee told me the job had burned him out because it was boring. I was able to offer some encouragement about completing school in lieu of another boring light industrial position. Exit interviews are commonly performed in person with the departing employee. Sometimes, the manager conducts the exit interview, but most often, a Human Resources staff person holds the exit interview. Some organizations use written or online questionnaires to conduct exit interviews. I am a proponent of talking with the departing employee to more completely explore and understand his or her views during the exit interview. The exit interview questions you ask are key to obtaining actionable information. Start your exit interview with light discussion to help your departing employee feel comfortable answering your questions. Assure the employee that no negative consequences will result from honest discussion during the exit interview. Explain that you will use the information provided during the exit interview, in aggregate format, to help your organization improve and retain valued employees. Freely explore each response further for clarification and complete understanding. Here are sample exit interview questions.